I hope you all had a wonderful weekend. We went to the Sierras for tubing and playing in the snow. Kids had so much fun swimming at the hotel and playing in the snow during our stay. We’re pretty exhausted from the physical fun trip but our kids wanted to stay there and didn’t want to come back at all. The weather was nice and the scenery was gorgeous. One of the greatest things about living in San Francisco is that within a 3-hour drive, you can either enjoy the snow or go to a desert. Well, it was a really nice break for me away from working on computer and I’m recharged! 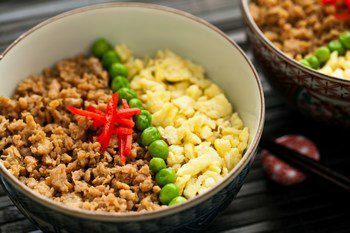 Today’s recipe is Soboro Don (Minced Chicken & Egg on Rice). 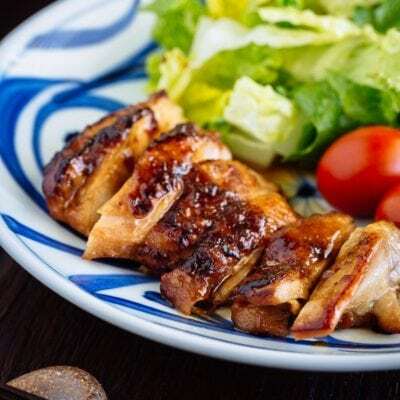 This dish is usually served at the end of a meal at Yakitori restaurants (chicken skewers). Our children usually want to eat rice with their meals so we order Soboro Don for them even before we finish the yakitori meal. At the restaurants, typically it’s just the mined chicken over rice. 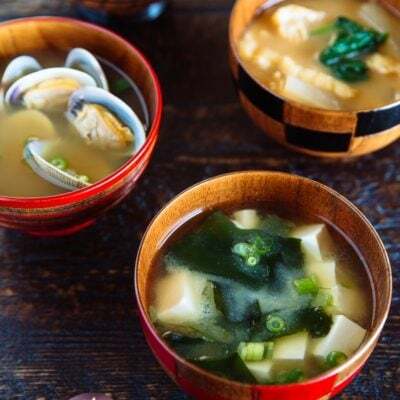 However, at home the Japanese usually make it into Three-Color Soboro Don – as in brown chicken, yellow eggs, and some green veggies (green peas and spinach are commonly used). 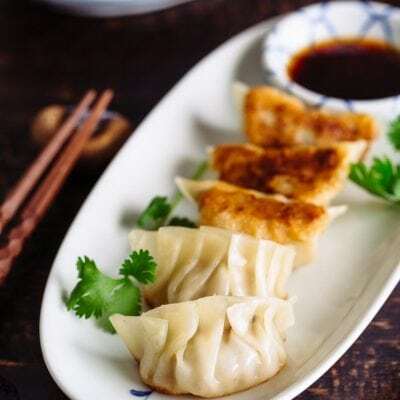 As the flavors are supposed to be sweet rather than salty (however, feel free to adjust the amount of sugar), the children as well as adults enjoy this quick meal. It was my favorite donburi (rice bowl) meal while growing up. I especially liked it when I opened my bento (lunch box) at school lunch time and found Soboro Don in it. Soboro Don is usually served at the end of a meal at Yakitori (chicken skewers) restaurants in Japan. 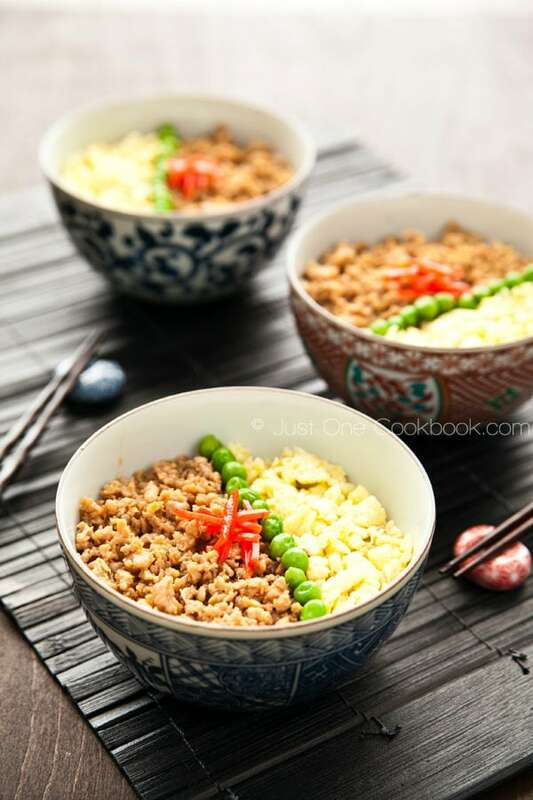 It's typically just the ground chicken over rice; however, at home, this dish consists of ground chicken, eggs, and some green veggies to make it more colorful. Heat the non-stick frying pan on medium heat and cook the chicken until almost cooked through. Using wooden spoon, break up the meat into small pieces. Add sake, sugar, and mirin. 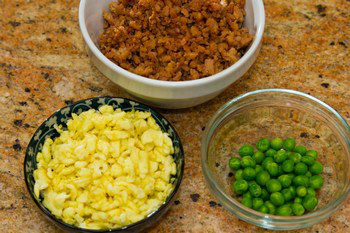 Add soy sauce and continue to break up the meat into smaller pieces. Grate ginger and keep the juice. When meat is broken up to pieces, add the ginger with juice. Cook until the liquid is 98% gone. Transfer to a bowl for now and wash the frying pan. Beat the eggs in a small bowl and add sugar. Mix well until sugar is completely dissolved. Prepare several cooking chopsticks. 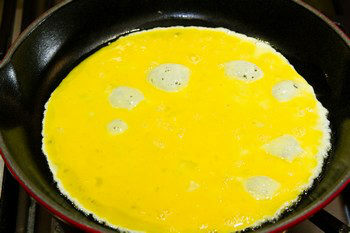 Heat the oil in the frying pan over medium low heat and pour egg mixture in there. Hold several chopsticks in one hand and break the egg into small pieces. When it’s cooked, transfer to a bowl. Now you have three ingredients in a separate bowls. Serve rice in a bowl and put the three toppings on top as you like. Garnish with pickled ginger (kizami shoga). 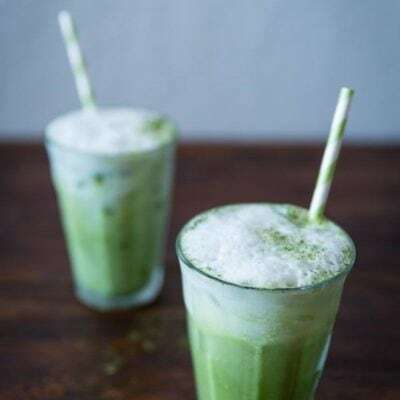 Editor’s Note: Food pictures updated in September 2012.
love soboro so delicious and easy to make 🙂 looks like you had a great weekend! Thanks Wendy! I’m sure Nathan will like this. Don’t forget to pack a spoon! Your children are adorable, so glad you had a nice trip/weekend!! 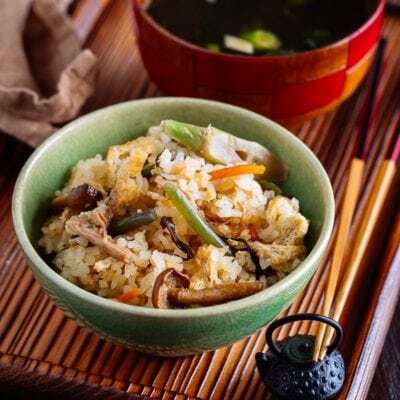 This looks like a great donburi make for lunch for the preschool boys I watch and think they will enjoy it and I know I will ! Thanks for the recipe! What an adorable family you have – just gorgeous! Sounds like you had a fabulous weekend. 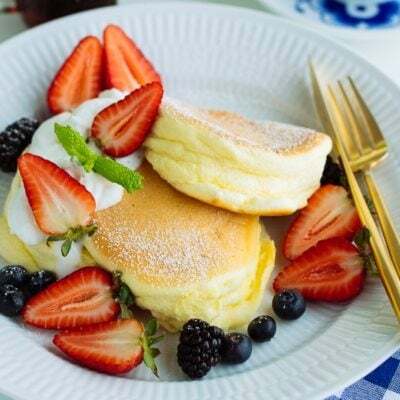 This dish looks so simple and delicious – very nice! Thanks Mika-san! Sure I’ll take pictures of your jewelry – need to schedule as our weekends are getting full. Oh.My.God. Your kids are too cute!! Ahhhh! Glad you guys had a good weekend! And, I love the way you presented this dish, so pretty! It sounds really yummy too! Thanks Beth! My kids are crazy animals. 😀 We had too much fun and now I’m too tired… hehe. This sound divine, love the flavors in this dish and it look like a great comforting meal! Great photo of you and your family! Your kids are adorable!!! Thanks you for sharing your weekend with us!!! Thank you Sandra! I always debate if I should talk about my family more or just focus on recipes, and haven’t made up my mind yet. Haha. What a sweet photo. This bowl of donburi is making me HUNGRY! Thanks Belinda! Haha me too I can eat the bowl again (just had dinner 5 hours ago…)! Good looking family! Glad your weekend was fun. This is a quick and simple recipe. Just what I need right about now. 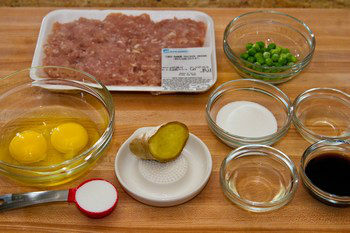 What are your breaking up the meat and stiring the eggs with? Nami, this is one of the reasons I love your blog, every time I visit, I learn something new! Nice to meet you too, Juliana! Thank you for your kind words. 🙂 Have a great week too! Hi Shannon! Yes, that store has been my favorite after kids were born. They don’t mind going, which is why I can actually “shop”. The bowl is a set of red and blue and it’s a Japanese plum flower. Since I can’t find any nice Japanese dish, I asked my best friend for my b-day last year. 😀 I’m glad someone notice it. Hehee. I love Japanese dishes . . . the simple designs. I can’t seem to find any I like here. Did you BFF send them from Japan? Yes she did… she went to a couple of stores, take a picture with her phone, sent it to me, and I liked this one most. Such a convenient world! It was like I was shopping there. Your family is so adorable! You guys remind me so much of ourselves!! Does that make sense? I still continue to be amazed at the sheer breadth of your cooking talent. Did you learn this all from family growing up? Hi Jamie! Thanks, and I know EXACTLY what you mean. LOL!!! Yes, I learned from my mom who cooked every night. Not only that, she “made” me stay in the kitchen and help her cook dinner…. In that sense, I didn’t have a choice! But now I’m thankful for what she did. But I was too young and all I wanted was just to eat not to cook… LOL. I love this dish, never made it myself but have tried it before at a friends house. Thank you for the recipe. That’s a lovely family picture and your kids are adorable! When my boys were younger, we used to do a lot of outdoor things like that. Now that they are a little more grown, they have their own activities and I miss the things we used to do. That’s a very tasty looking donburi. Our family would love it! Hi Biren! I see… I understand what you mean. They will have their own friends and will be busy with their own activities. I must enjoy this time! Hopefully by then I get to spend more time on cooking and trying new things such as baking sweets! That’s right Nami! Enjoy this time as it goes by very quickly. You have such a cute family Nami! Glad you all had a great weekend! Thanks Peggy! How’s your week so far after the vacation? Looking forward to your new post! Looks delish! And your family is beautiful!!! So glad you had such a great weekend! Thank you Manu! It’s really nice to meet you! We moms always look for recipes that kids would like. 🙂 I hope your cute little girls will like this recipe! Looks yummy! Your children are adorable. Glad to see you guys had so much fun 🙂 Myself, I could go without seeing snow for the rest of my life! wow I love your space here. I’m glad I’ve bumped into you at Foodbuzz. 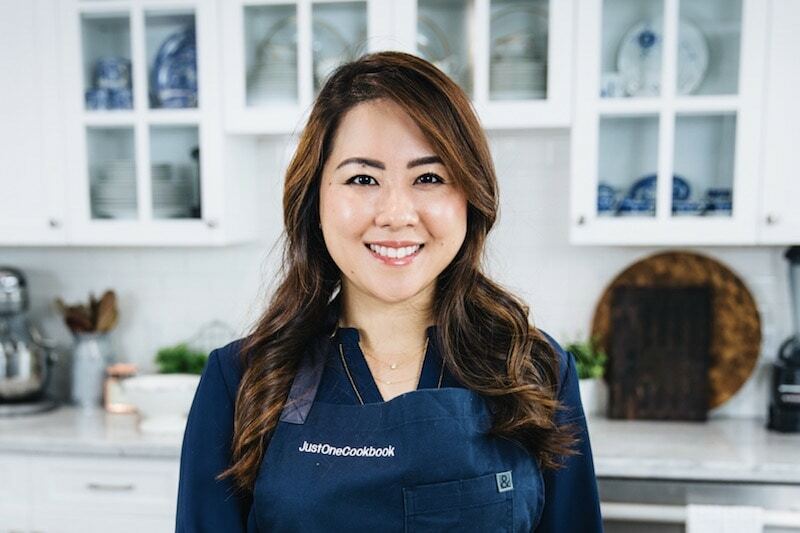 So many fantastic recipes you have that I would love to try too! 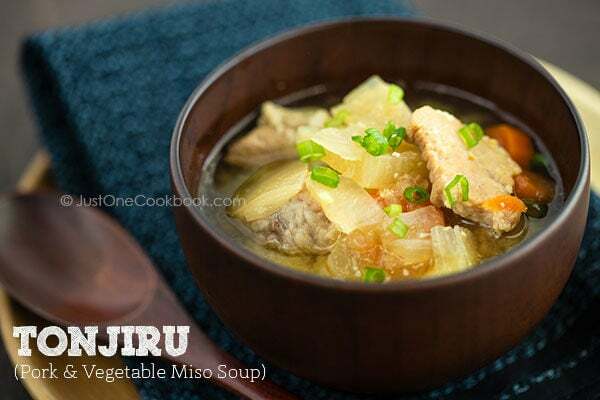 This miso soup for one, I haven’t made one before but will start with your basic recipe haha. great family picture, glad you had a fun vacay. looking forward to know you more.. read more posts.. and try your food. This is one of our favorite quick dishes (but I always use a bunch of peas to add more vegetables). I especially love the ginger taste in the chicken! PS – I wish I rememberd you live in San Francisco. We were just there this week. I would have asked you where to eat! (although we ended up eating a delicious dimsum sampler somewhere in Chinatown). Thanks for this…it was one of my daughters favorites as a child! So glad you did a bento box with this because I had missed it. 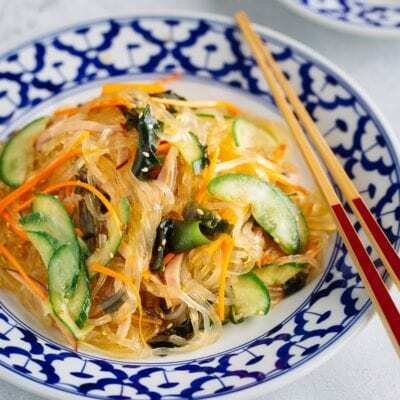 I love this and is definitely a dish that would be a huge hit with Bobby and me. We have so much ground beef in our house. I tried this with ground beef today… but my beef produced a lot of grease. There isn’t a leaner version available for sale at the store I shop at, so what do I do? Does ground chicken do this or not? I typically have ground beef on hand, but maybe I’ll buy some chicken too if it makes this dish easier. It’s such an easy and tasty meal. 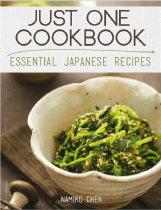 I was wondering what can I use instead of mirin and sake? 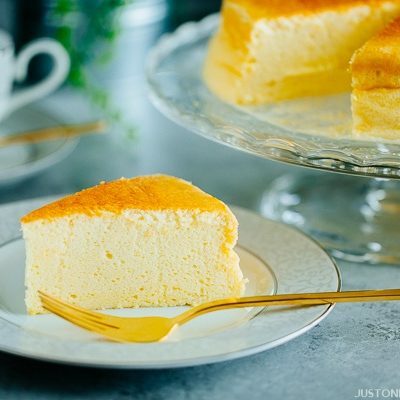 I’ve had lots of soboro in Japan, and this recipe is WAAAAAY sweet! Next time I would use much less sugar; the mirin adds quite a bit of sweetness as well. Other than that, great recipe. Thank you! I love you recipes and you job!! 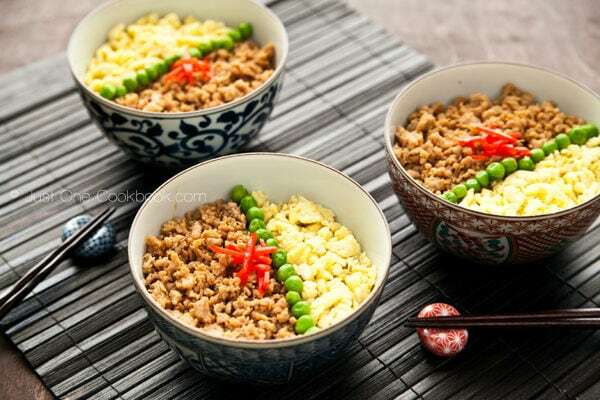 I’ve been making a recipe very similar to this (it also uses a block of previously frozen, crumbled tofu mixed in with the meat) and it is so tasty! Early on I thought it might be good with some minced water chestnut added for crunch and it was a great addition. I just mince one can in a chopper and the slight contrast is lovely. 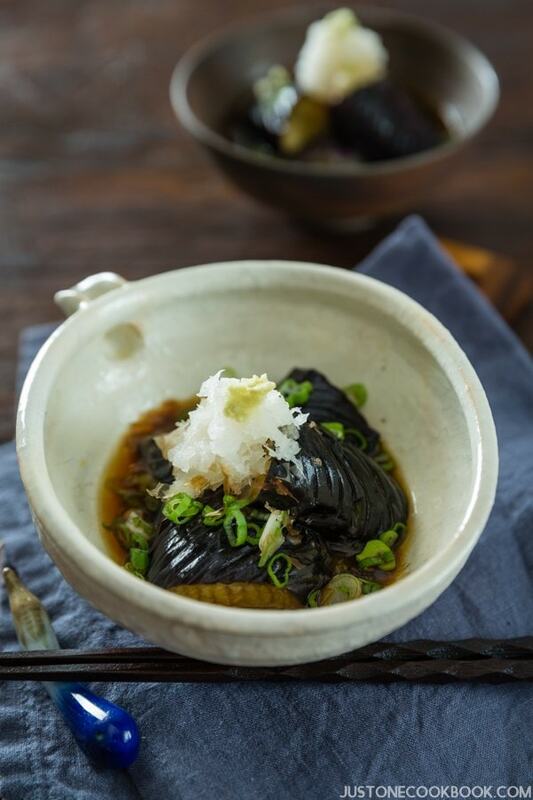 Just wanted to say a huge thank you for sharing all your Japanese recipes here. They’re really very simple (especially when you took the trouble to take and post photos of each step of instructions). I cooked this today for our lunch and my two fussy kids just loved it. Only thing I changed was that I opted out of the ginger as they didn’t like it. I also tried your Oyakodon recipe last night and again, it was a success. So, once again, thank you so much for sharing your recipes here. If I don’t have mirin, will only using the sake and sugar be enough? I made this with leftover roasted chicken thighs, mince very fine. I made lunch for 2 Japanese ladies in their 80s. They had never had soboro made from chicken. Only canned tuna (which is what I grew up with). But they loved it and thought it tasted just like tuna soboro. They were quite impressed along with the other traditional Japanese food I prepared. Hi Footai! Welcome to my blog! Of course, any green vegetable is okay. Green beans, snow peas… any green. 🙂 Hope you enjoy! I just fed this recipe to Nana and she liked it. At her age it is hard to make real home cooking. Thanks for the directions and recipes. Our preschool daughter ate a lot as it was a sweet taste. I was surprised how quick and easy it was. And we saved some for tomorrow’s lunch. Thank you! Sometimes when I feel depressed or just simply in need of cheering up I make this dish. It really makes me feel at home and loved. My mom used to make something similar when I was a kid but she typically used beef and it tended to be taco or catsup flavor. She always served it with a bit of sour cream or some mayonnaise on top. It was really comforting back then. 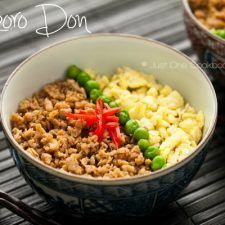 If I were to use beef instead of chicken would it still call soboro donburi ? Is it okay to use beef ? Hi Nami ! Thanks for replying. I see so what would be the seasoning ratio you would suggest if I want to try it wit beef ? Hi June! You can try this same recipe and see if the adjustment is necessary. I haven’t tried this portion with beef before but if you need to adjust, you can add more soy sauce or mirin or sugar, depending on your preference. Sounds easy and delicious! Just wondering, is it possible to substitute the sake with something else or leave it out completely? Hi Lisa! 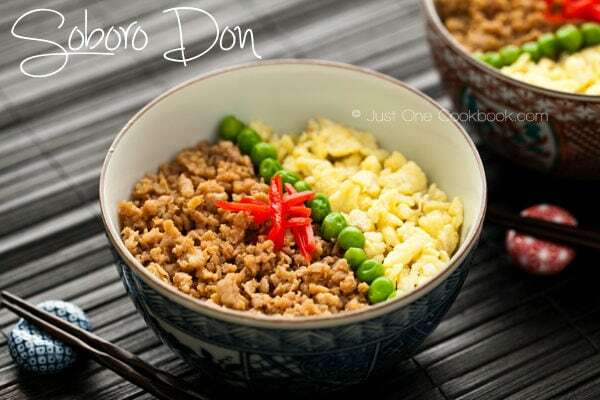 When you have soboro don or soboro bento at restaurants or outside, it’s actually very sweet, way sweeter than this recipe. I don’t know why, but it’s a signature of this dish. 🙂 Maybe that’s why a lot of kids love this dish. I have a teething 13 month old who hasn’t been eating lately because his mouth hurts. I tried this recipe tonight and he ate it all up!!! I am so happy he loved it!!! I’m trying out new things for my children’s lunches and I came across this. I’m from the Midwest where eggs are generally a breakfast item and served hot. I see that you allow the meal to cool before closing the box. These items are not heated back up for lunch? I’m wondering how the eggs will be received when served cool. Thank you! I’m interested in trying these for myself, too! Hi Carisa! I’m so happy to hear you’re trying out new things with/for your children! Yes, I allow the meal to cool completely so that when you close the lunch box lid, it won’t create condensation, and then possibly food goes bad (bacteria likes warm and wet environment). Japanese lunch box (bento) is meant to be enjoyed at room temperature. 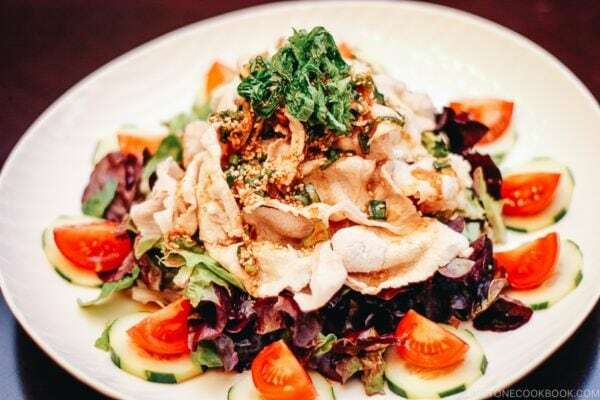 We choose the dishes that taste good at room temperature. 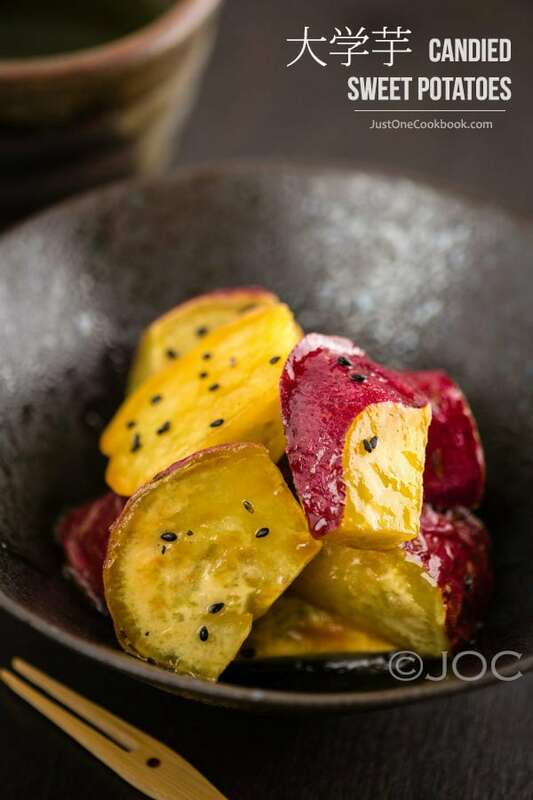 The meals are usually seasoned slightly stronger so it is not bland at room temperature. And this dish in general is more on the sweet side, so the kids love it. Thanks for sharing your recipes. It’s a big help. I'd only say put a little less sugar, I love sweet but it was juuuust a little too much. My 2 yr old (well he will be 2 next week) loves this dish! Today I made it but I didn’t have ground chicken so I used some left over shredded kalua pork and he went nuts for it! Absolutely delicious, and so easy to make. Thanks for another great recipe. It was also very beautiful to serve. Thank you so much Matthew! This tastes delicious even when it’s at room temperature (because the meat has sweet and salty taste) so it’s perfect for lunch box too. Thank you for your kind feedback! I loved this recipt, but having a hard time keeping the chicken moist, how do I keep it from being dry from overcooking them (while waiting for the liquid to dries up)? Hi Catherine! Maybe the cut of ground chicken you cook is not fatty. I think that’s the only thing I can think of. Yours is probably more lean with breast meat. I buy my ground chicken from a Japanese grocery store and I don’t think it tells how lean it is but it has pretty good fat in it (white parts). If you are mincing your own with food processor etc, add more chicken thighs. Hope that helps! 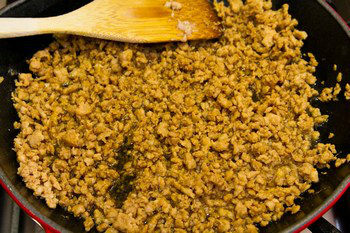 Hi Nami, I made this last night experimenting with adding the cornstarch to the ground chicken before cooking, and it works like magic! 😊 it was a win with my toddler and 1yo. Thank you for replying! This is absolutely delicious!! I replaced the sake with rice wine vinegar as I couldn’t find cooking sake at the grocery store. 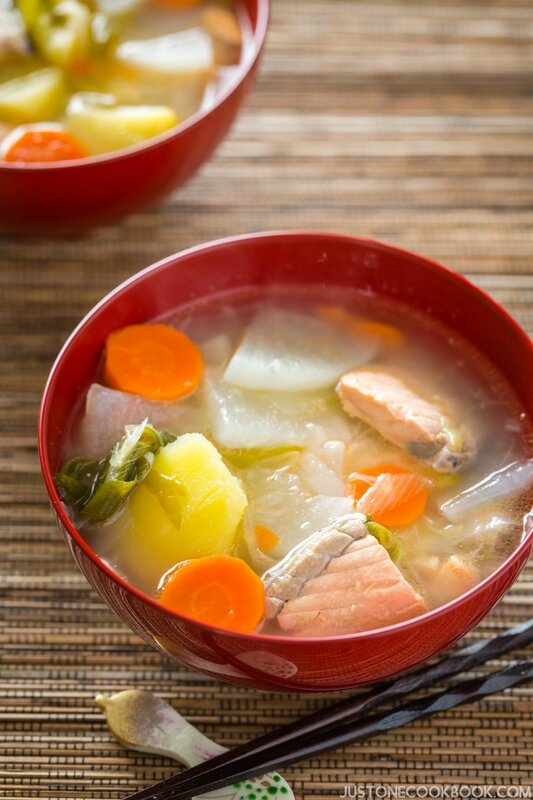 So easy to cook and a wonderful comfort food for a cold rainy day! Ohh okay! Thank you for letting me know, I’m going to try a different grocery store because I’m determined go make authentic Japanese food haha! 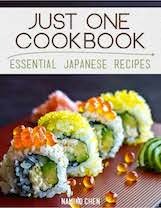 Next time I make this with cooking sake I’ll be sure to let you know how it was!! 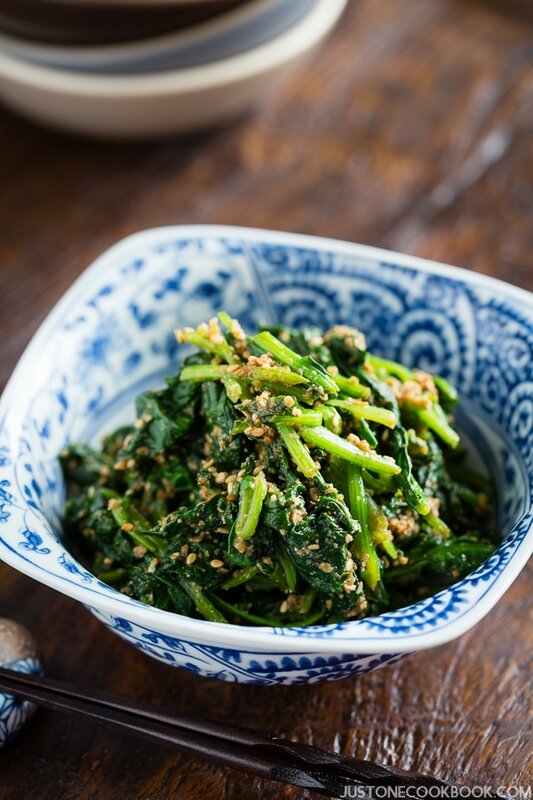 So easy to make and I substituted the veggies to cut sugar snap peas – my family loved it.